We have solutions for your radiator problems! Our team is qualified to diagnose and repair your radiator issues large or small. We fix pinholes in the core, install new gaskets on one or both of your tanks, and replace filler necks among many other services. Make sure and visit our Frequently Asked Questions page. There are some answers to common misconceptions that will help you make a decision for your problems. While your issues may be related to heating or cooling systems, the problem might not be specifically a radiator. We also clean, repair, or replace other components of these systems. If your item is not on the list, just give us a call and we can discuss your project. 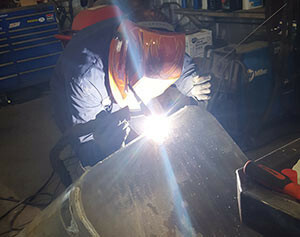 We also do in house welding and fabricating on different applications. Fuel tank filler necks and/or strap wear is a common problem in this area. 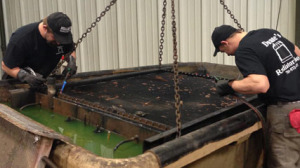 We will repair your fuel tanks and pressure test them to ensure quality work. Duane’s stocks and installs new fuel tank filler necks for your convenience. If your equipment is not functioning properly, bring in your vehicle or radiator to have an expert take a look. We welcome walk-ins, or you can call ahead to schedule an appointment.